LBM-C automatic paper box forming equipment, new technology introduced from abroad, according to the self innovation and improvement. The formation of fast, easy to operate and so on. 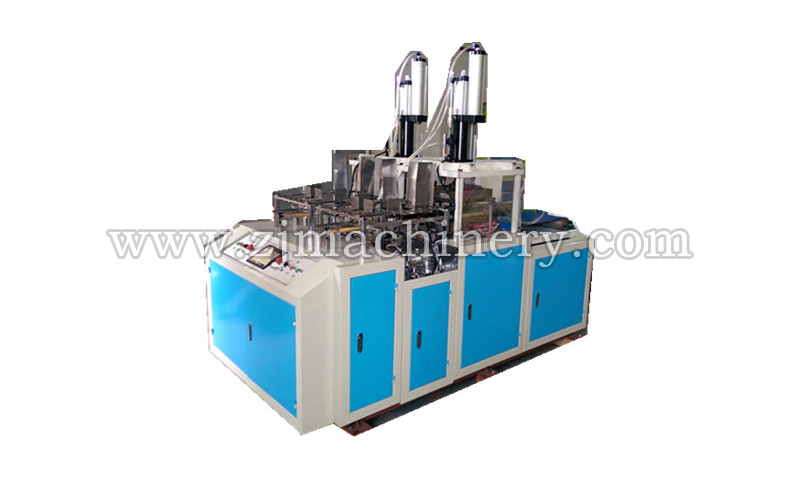 This machine adopts intelligent computer control heating device, suitable for single PE and double PE coated paper coated paper. LBM-C automatic paper lunch box forming machine through the automatic feed paper, heating and hot pressing molding (bonding boxes cover half rounded, and four right angles, four corner), and automatic collection of the continuous process for the production of single-cell disposable paper boxes, paper boxes.